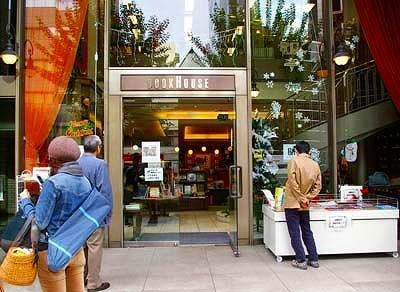 Jinbocho is book town in the same meaning as Akihabara is called electric town. 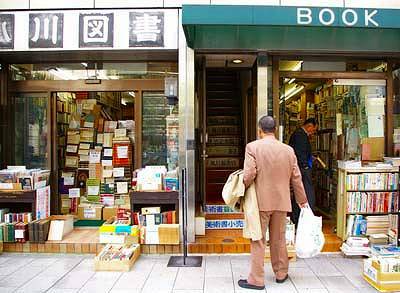 There are about 200 bookshops, including more than 130 second hand booksellers、and over thirty book dealers in a small area in central Tokyo. Jinbocho, the name of which originated from a samurai named Jinbo who lived in the area in 17th century, was a residence of upper ranked samurais. After Meiji Restoration, high ranked officials of Meiji government took over the residence and many schools were founded around the area. In early years of 20th century many book sellers gathered into this area to have business with these intellectual people. 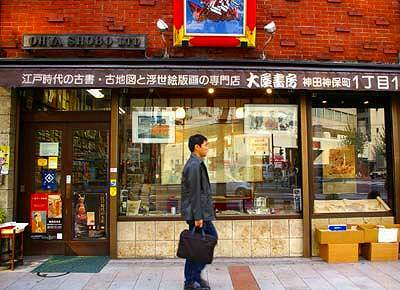 That was the beginning of Jinbocho to develop into the biggest book market in the world. 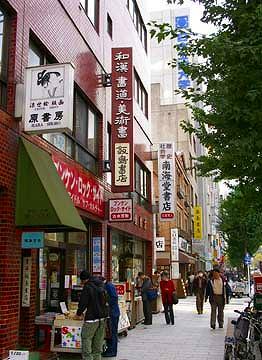 A main road called Yasukuni-dori was constructed running through the area in 1915. Thenceforth bookshops were located along the south side of the road. 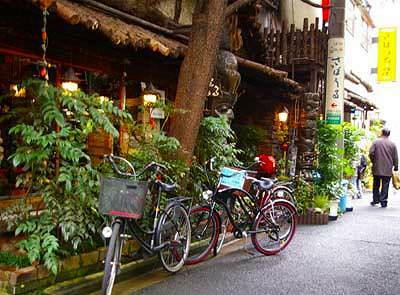 The town was destroyed by the great earthquake in 1923, but survived the great air raid during the Pacific war. 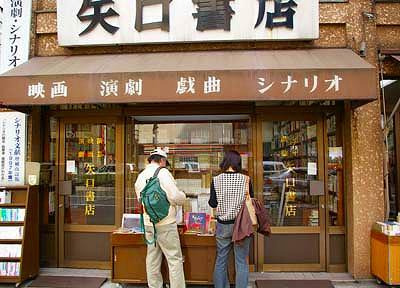 Nowadays Jinbocho is the center of Japan’s publishing related industry. 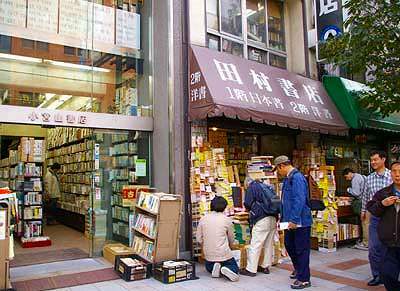 The book shops are set up in the south side of the street to protect books from the sun light. 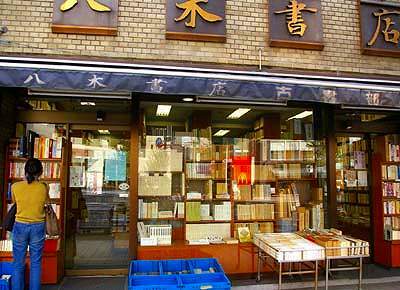 There are various kinds of bookshops. 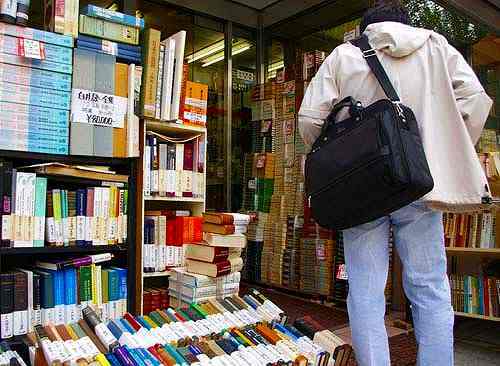 Many shops specialize in books of some specific fields. Ohya-shobo(left) sells books and maps published in Tokugawa era. Books piled up in front of the shops are inexpensive ones. 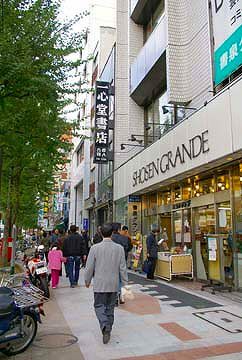 Kitazawa(right) is one of the biggest book stores selling foreign language books. 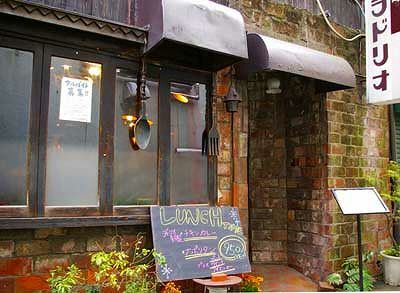 There are some classic fashioned cafe in the side street. You can take a pleasure to read your book you have just bought sipping coffee in the cafe.